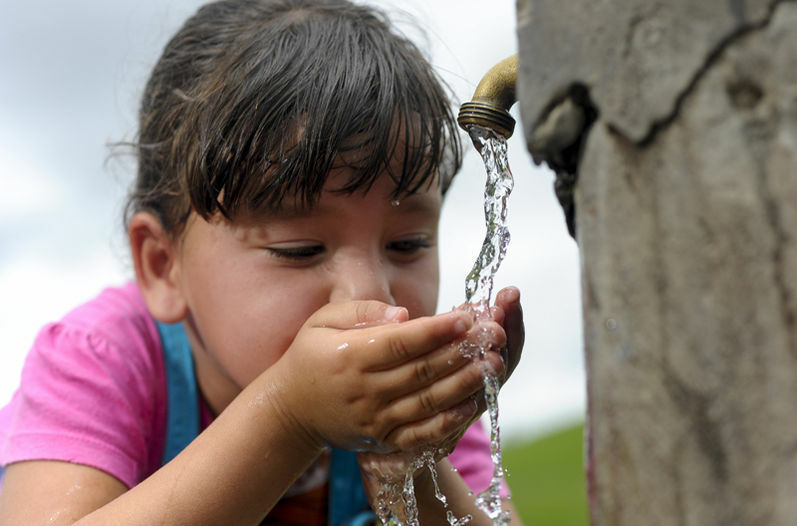 (QCOSTARICA) — Puriscaleños (residents of Puriscal) have to juggle their lives to live on only four hours of potable water a day. Yamileth Astorga, head of the Acueductos y Alcantarillados (AyA) – water and sewer utility – said rationing in the area (from Puriscal to Acosta) is not for a lack of infrastructure, but rather a lack of local water sources. “There are no local sources,” according to Astorga. This leaves the 36.000 of the community without drinking water for 20 hours every day. Making matters worse, dozens of residents claim there are “privileged” neighbourhoods, areas that according to their location and altitude receive more hours of water daily, some without any cuts at all, than the rest of the community. 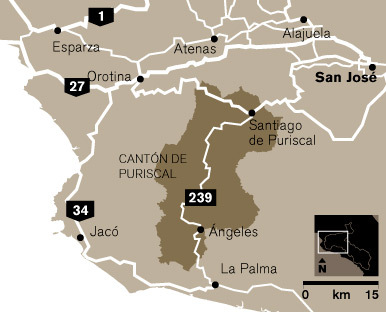 The daily newspaper La Nacion, in its report, said it confirmed the shortage of water claim by residents through a visit to Puriscal, where many residents have resorted to buying and installing storage tanks. The AyA says it is looking into the possibility of pumping water from the metropolitan area (of San Jose), but that could prove difficult, unless improvements are made to the water delivery system. The mayor of Puriscal, however, has a different story. Manuel Espinoza says the AyA is “misinformed” because there are at least three rivers in his county that could be sourced, but there is a lack of studies and money to do so. 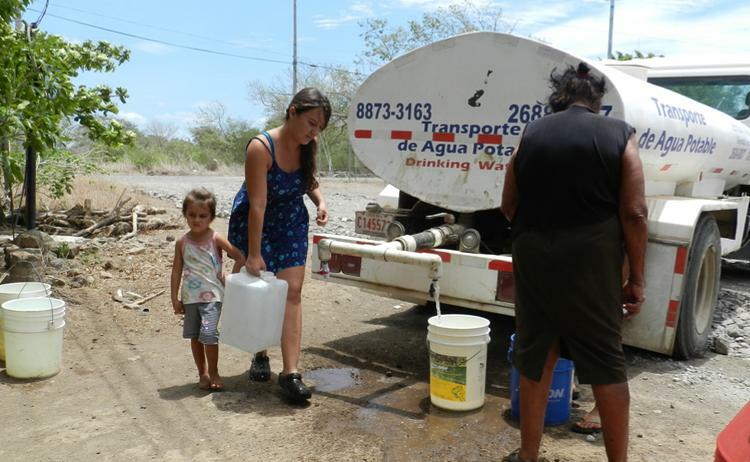 Espinoza is demanding that his community receive at least 18 litres per second of water that diverted from the neighbouring canton of Palmichal, and all the way to Mora (Cuidad Colon). An attractive option to supplying water to this community is a small water source located in the Parque Nacional La Cangreja. 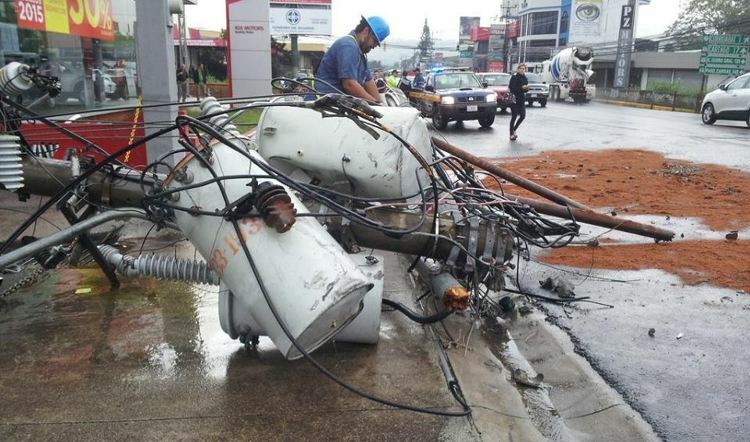 Although the municipality, the AyA and the Ministry of Environment and Energy (MINAE) agree that that could be a real solution, the Attorney General’s office (Procuraduría General) prevents them from exploiting the source, for being in a protected area. “That is the only source we can exploit, and it appears we are not allowed to do so … it is terrible that there are communities without water, and we have it in protected areas, but they won’t let use it,” said Astorga, nothing that the situation (ban from the Attorney General) has prevented the AyA from developing similar projects in other parts of the country. Water truck supplying drinking water to communities. Photo archives.